Weekly Golf Picks – Where did they go? Where are the Weekly Golf Picks? I’ve had a few emails asking where the weekly golf picks are published. 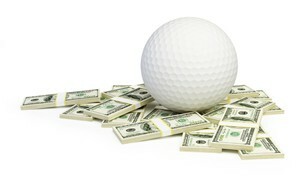 I’ve been publishing most of them on my little sister site, WeeklyFantasyGolf.com. Or you can go to the weekly picks category to see them all. Speaking of fantasy golf, it is back in session and as fun as ever! Get in while the getting is good if you have never played fantasy PGA at DraftKings it is awesome. I love playing. And the kicker is that I didn’t even watch golf, play golf or have any interest before I started playing weekly fantasy golf. Now I really do enjoy it. You can find me every week (Spry13) in the cheap Draftkings PGA tournaments. ($0.25 up to the $20 buy-in’s depending on how I’m running). My weekly picks are posted by Wednesdays at the latest! If you have not played, give it a shot tonight (contests lock early Thursday morning!). Visit Draftkings.com to play.